Look Ten Years Younger In Days -- Without Surgery! 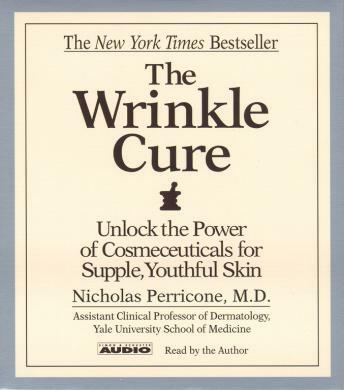 From Yale University's dermatological and anti-aging, expert Nicholas Perricone, M.D. comes the all-natural program that has already helped tbousands -- including top Hollywood stars. This antioxidant plan revitalizes your skin from the outside and inside, reducing and effectively erasing wrinkles and blemishes, no matter your skin color or type, no matter your age. * Alpha Lipoic Acid -- lines, wrinkle, under-eye puffiness, acne scars, and enlarged pores can disappear. * The Three-Day Diet for Better Skin -- special 'Face-changing' foods visibly change the way you look, in just seventy-two hours. * Vitamin C Ester -- this miracle supplement can heat sun-damaged skin or inflammations by helping your body lit produce collagen -- it's firms up sagging skin as well. * An Instant Face-lift -- DMAE tightens skin almost instantly and offers long-lasting results with continued use. * The Sugar Taboo -- simple carbs ravage your skin and speed aging.